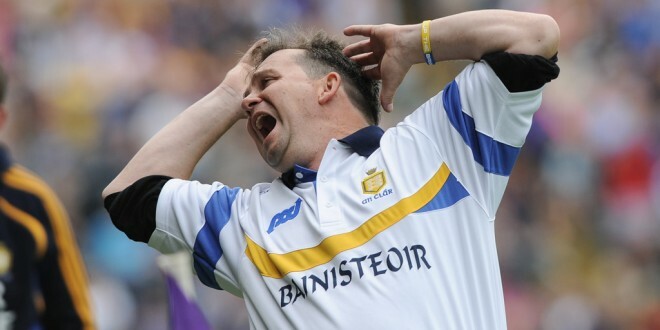 Clare manager Davy Fitzgerald reacts to a late missed chance on the sideline during their All-Ireland qualifier replay at Wexford Park. Photograph by John Kelly. NOT a feat they’ll be boasting about but the 2013 All-Ireland champions broke new ground in the frenzied cauldron that was Wexford Park last Saturday evening. Since the back door and subsequent All-Ireland qualifier system was introduced in 1997 no reigning All-Ireland championship has exited at the earliest possible opportunity. Defeats to Cork and now Wexford, leaves Clare as the first holders of the Liam McCarthy Cup to fall at this juncture in their title defence. Clare didn’t hand back their All-Ireland title because the players weren’t prepared to give their last ounce. They were met with a fresher, fully committed Wexford team who should really have won the drawn game in Ennis, well before extra-time. 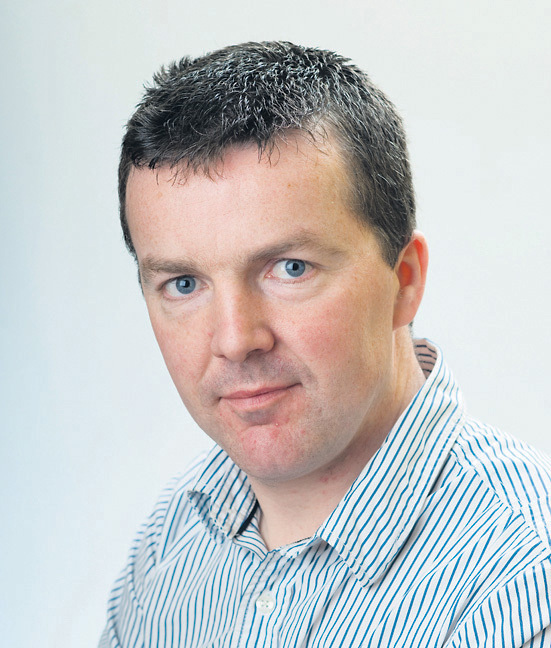 Lets be honest here, if Wexford had lost, particularly the replay, Liam Dunne would have searching questions to answer. Their deployment of their two extra men, an advantage they hand for 30 minutes, was almost impossible to fathom. Rarely did they seek to stretch Clare out wide, which is surely where they would have exploited the fact that their opponents were two men down. Easy to say from the comfort of the stand but Brendan Bugler’s red card should never have happened. It seemed that he was being pulled back by Liam Óg McGovern but Bugler’s reaction was completely over the top. A player of his quality, leadership and experience was a monumental blow to Clare. They needed him badly when the heat further rose as the evening deepened. Three sendings off in two games clearly indicate that Clare are not the disciplined, unflappable team of 2013. Responsibility for Jack Browne’s dismissal lies almost entirely with management. Surely they should have substituted him after he fouled again following his first yellow? Why bother bringing Domnhall O’Donovan on the train at all when he was so desperately required on the field yet not introduced? Jack Browne is an exceptional young defender and will learn from all of this. Like most of his team-mates he didn’t flinch even when it was going against him. Clare should have protected him and themselves though by putting in O’Donovan without whom Cork would be 2013 All-Ireland champions. Another man who must be wondering where his hurling career is going is Cathal McInerney. Deemed good enough to start in the drawn game, where he did reasonably well without setting Cusack Park alight, McInerney was twice brought on as a brief blood sub for John Conlon in Wexford. Conlon himself was poor in the drawn game but management stuck with him and he responded with an exceptional display. Management also stuck with Jack Browne after a ropy debut against Cork. They showed no such faith in McInerney though whose confidence cannot be burgeoning at this stage. McInerney should have started instead of Peter Duggan, and operated alongside Conlon in the full forward line, allowing McGrath to roam between the lines, where Wexford would have had difficulty picking him up. Darach Honan could have flitted between wing and full forward, inter-changing with Conlon. This would have still allowed Clare to deploy a sweeper, a role Pat Donnellan has mastered. Clare were fully vindicated in starting Seadna Morey who should have been in the first 15 long before now. However he is surely more suited to either corner or particularly wing back, from where he could attack at pace. His speed is perfectly suited to the short game Clare mastered last year. If he had started in either of those positions, Donnellan would have fitted in as sweeper. Aside from bringing on Jamie Shanahan and Paul Flanagan to replace the players sent off, at the start of extra-time, Clare made just two additional full substitutions. Pat Donnellan and Aaron Cunningham were introduced. In contrast Wexford made eleven substitutions including six in extra-time alone. Jack Guiney was sprung after 28 first half minutes and put over ten points, two from play. Clare’s strength in depth has been remarked upon often enough in recent season. And it’s true. Clare have a busload of outstanding young hurlers. Jamie Shanahan gave a glimpse of what he is capable of with his two points but there was no sign of Nicky O’Connell, Shane Golden or Davy O’Halloran while Seán Collins has disappeared into hurling obscurity. If management are doubtful whether a player is ready or not, they will never know if unless they throw him in. Ironically it was that type of brave decision making which won Clare the 2013 All-Ireland. David McInerney, Conor Ryan and Podge Collins were given their chance and along with Colm Galvin, Shane O’Donnell and Tony Kelly, they played pivotal roles in delivering Liam McCarthy. The Clare management must also internally look at what went wrong this year. Remember Clare have not won a game since beating Laois in the quarter-final of the league. 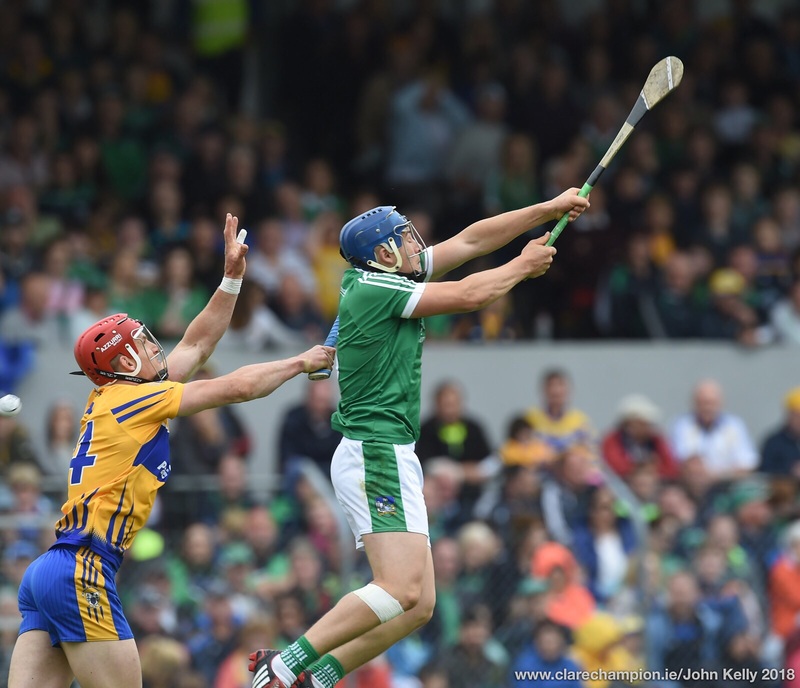 Why did Clare lose the fluency and freedom in their hurling, which was so evident from mid summer last year? Will key men like Paul Kinnerk and Joe O’Connor stay on board for 2015? Why are apparent 50/50 decisions going against Clare? Johnny Ryan and his umpires did disallow a Wexford goal that looked legitimate, while the decision to award Clare an injury time ’65 was definitely a tight one. Those calls aside there is no doubt that Wexford were afforded a number of tight calls. Davy Fitzgerald’s constant badgering of referees is not helping in this regard. Referees have probably not made a conscious decision to make Clare earn their frees but that is what has happened in 2014. Still much of what has gone wrong for Clare is down to themselves and placing responsibility for Clare’s exit purely on refereeing decisions is delusional. 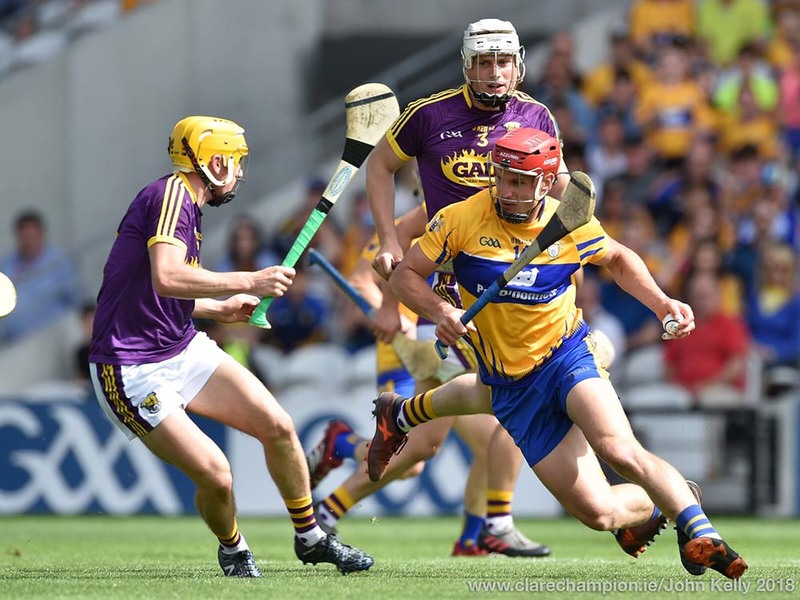 If Conor McGrath stood between Clare and defeat in Ennis the previous Saturday, John Conlon was the Clare man who railed heroically against the dying of the 2014 championship light last Saturday. Conlon was immense and an inspiration to every Clare person who made the trip. His heroism was matched, in another way, by the calm nerve displayed by Colin Ryan when pointing that injury time ’65 at the end of normal time. A break will do these magnificent players no harm. It will give them and management time to think on where they go from where.